Whether you’re spending hours sitting at your desk or are on your feet all day long, good health in the workplace is key to having high performance levels. What’s one of the best ways to get healthy and stay healthy? Fitness! Proof Fitness in Lexington KY knows the importance of good health in the workplace, which is why we offer a Corporate Wellness Program. Our Team will work with your company, and its employees, to create the perfect Wellness Program made just for you. When your employees are healthy, your company thrives! If your company isn’t part of the Proof Fitness Corporate Wellness Program, please fill out the form for more details and to try Proof FREE for you and your co-workers. 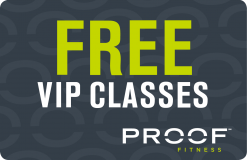 Whether you’re a small business or large corporation, Proof has a Corporate Wellness Program just for you!